A pre-Columbian Mexican legend relates that Popocatepetl, a great warrior, was in love with the fair maiden Iztaccihuatl, daughter of a tribal king. The lovers went to the king who told them he would allow the marriage only if Popocatepetl was victorious in battle with a rival tribe. Popocatepetl went off to battle, was indeed victorious, but was kept away longer than expected. A rival suitor to the hand of Iztaccihuatl spread the rumor that Popocatepetl had died in battle and the young maiden soon died of grief. When Popocatepetl returned he laid her body atop a mountain range that assumed the shape of a sleeping lady - the form that is evident in the western view of the Iztaccihuatl today. Overcome with sadness, Popocatepetl climbed the adjacent peak where, standing sentinel with a smoking torch, he eternally watches over his lost lover. These "Lovers' Peaks," along with a graceful angel, were first pictured on 50 Peso gold coins (called "Centenarios" ) issued from 1921-1947. 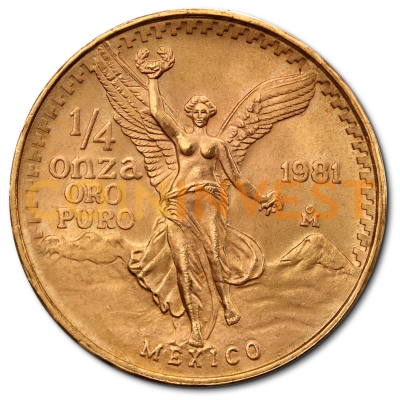 This design has been featured on Mexican "Libertad" pure silver and gold coins since 1991. 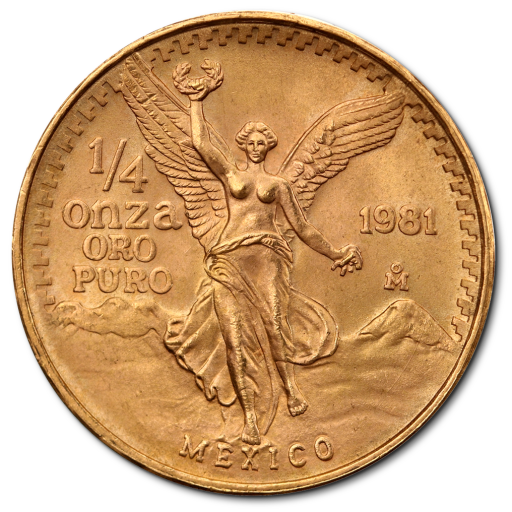 The appearance of the angel was modified in 1996, so there are two types of each denomination. Libertads are struck in Brilliant Uncirculated and Proof quality. The reverse of the legal tender Libertad coins features the national symbol of Mexico - an eagle with a snake in its mouth, standing on a cactus.